The Purple Scarf: Lifestyle: Winter Fresh + Steam Whistle Beer! Heya! 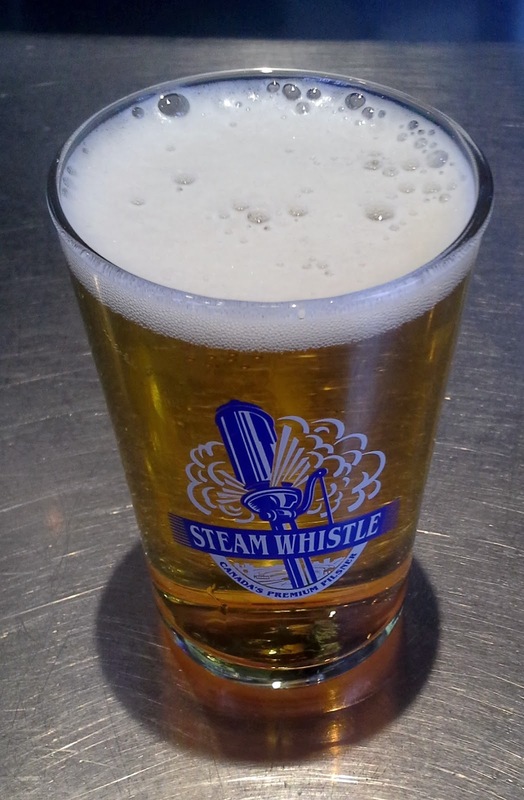 Last Sunday I visited The Steam Whistle Brewery. 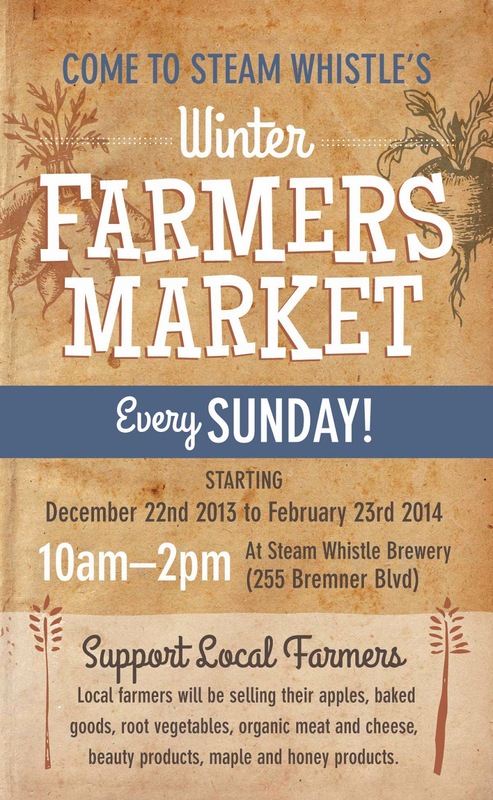 Not just to sample their fabulous beer but to shop at the new Winter Farmer's Market. 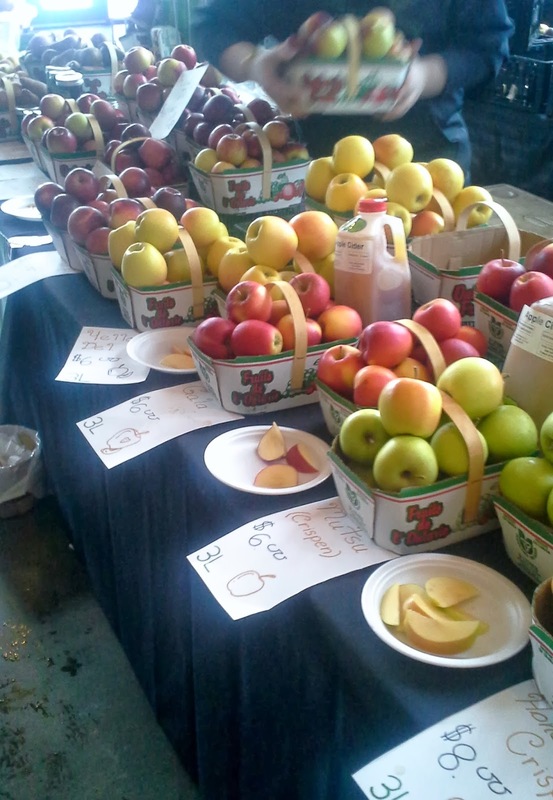 Originally slated to begin a few weeks ago, last Sunday was the first Winter Farmers Market event. It is quite small, but hopefully will grow in size once people are aware of it. It is such a great idea during the cold winter months! A place to buy fresh fruits, cheeses and meats, organic coffees and teas, all while listening to live music. 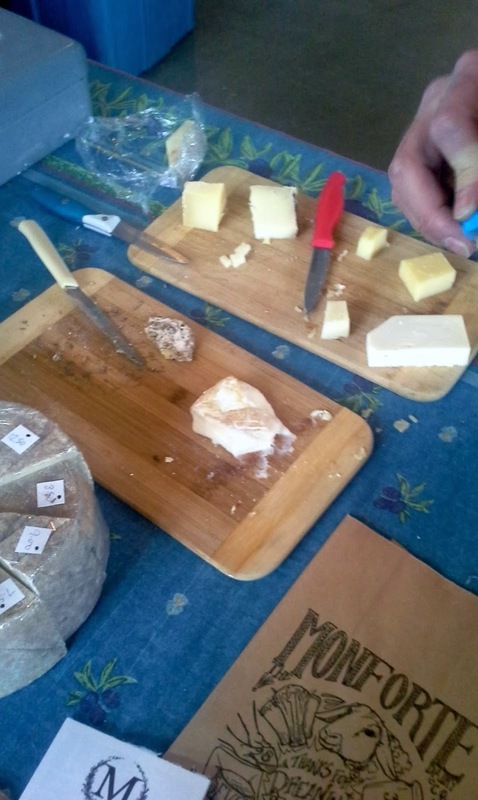 My favourite foods were the fresh cheeses and organic chocolates that were offered to sample and buy at great prices. 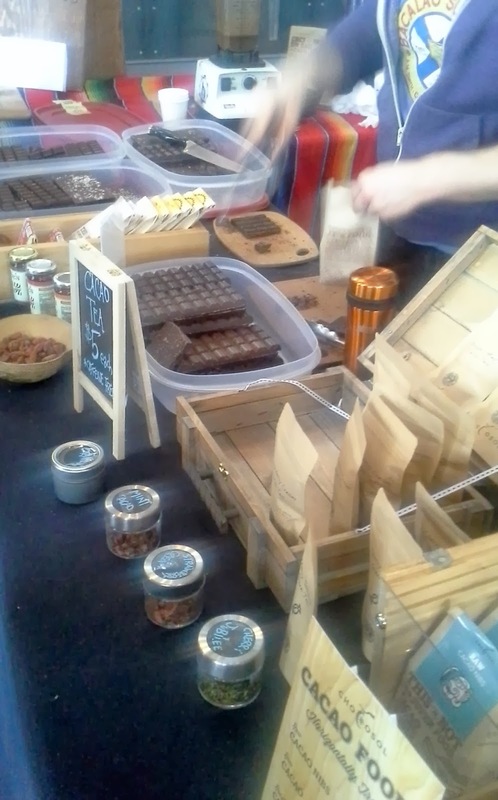 And all the products for sale are locally grown and made. And P.s! 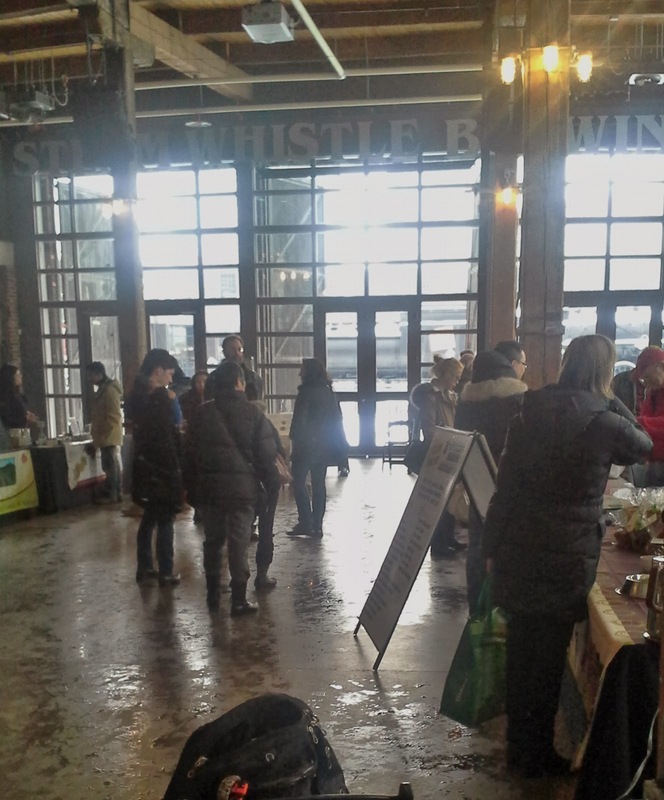 : After visiting the Winters Farmer's Market, enjoy a free sample of Steam Whistle beer or take in the Steam Whistle Tour, with tour prices starting at $10. 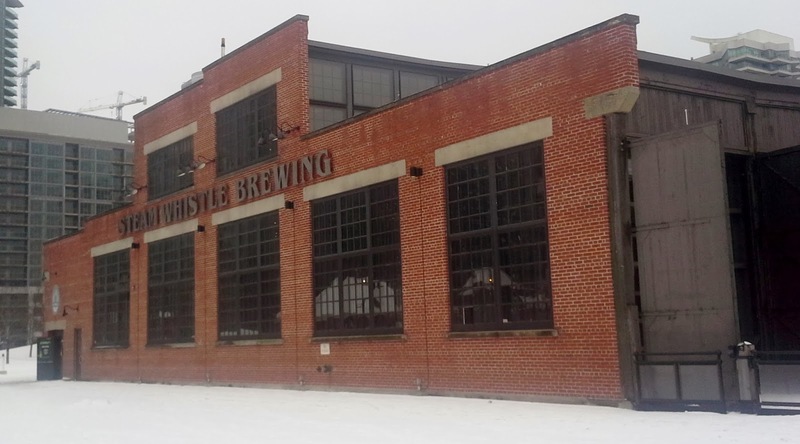 Also, Steam Whistle hosts art exhibitions that are free and open to the public!